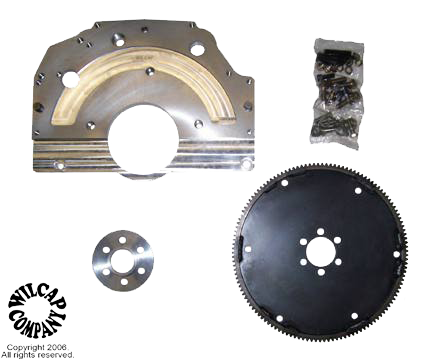 INCLUDES FLYWHEEL, ADAPTER PLATE, PILOT BEARING ADAPTER, FASTENERS AND INSTRUCTIONS. PROVISIONS FOR MID-MOUNTING ENGINE AND FOR STARTER MOUNT ON EITHER SIDE. 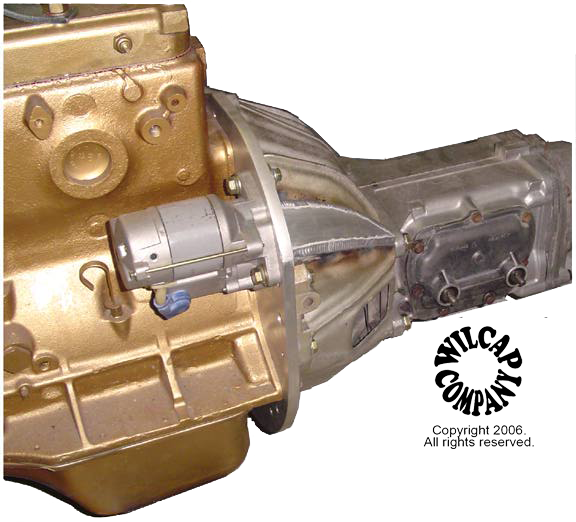 * Specify Crankshaft type; Flywheel was fastened with either studs or bolts.